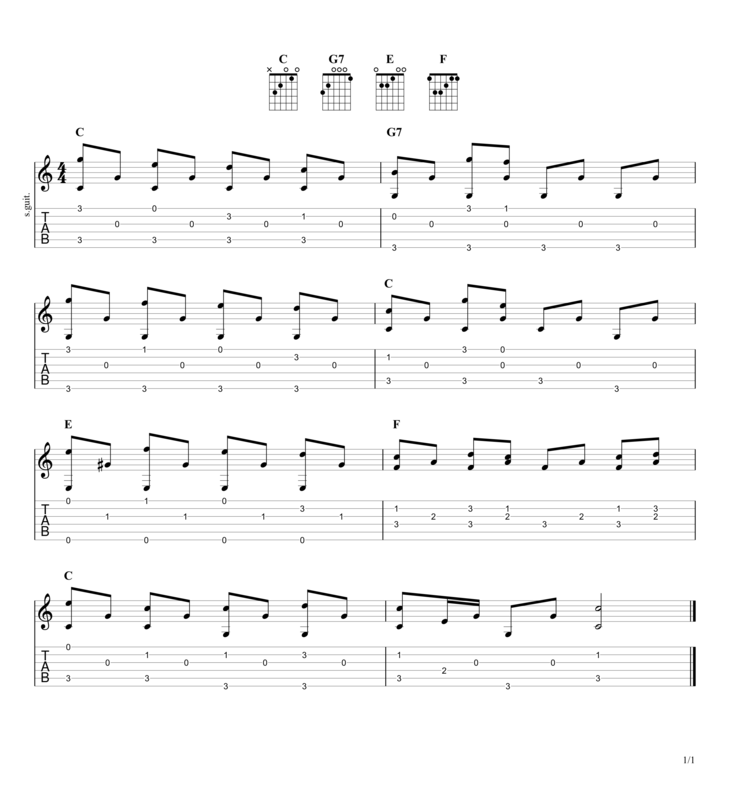 Scroll down for full video lesson (with tab) of Freight Train. Freight Train by Elizabeth Cotten was written in the early 20th century and is very often taught to people who are new to fingerstyle guitar. The song has a constant bass line running throughout with a strong, yet simple, melody line playing simultaneously. 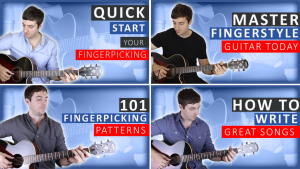 This makes it great for learning how to play more complicated chord melody songs in the future. Freight Train is no. 12 on my Top 60 Fingerpicking Songs of ALL TIME list. If you've not seen the list be sure to check it out and subscribe to get weekly lessons for each song! Cotten was left-handed and unable to get hold of a left-handed guitar, so she learnt to play a right handed one upside down. This led to her developing a unique style of fingerpicking, which is today know as cotton picking. 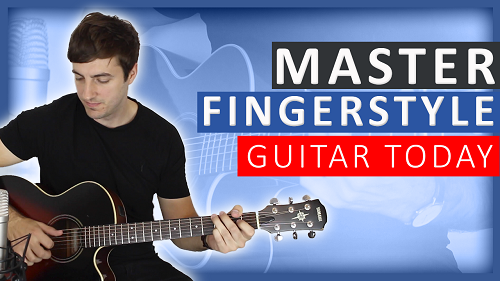 In this style, you play all the bass notes with fingers and melody notes with the thumb. 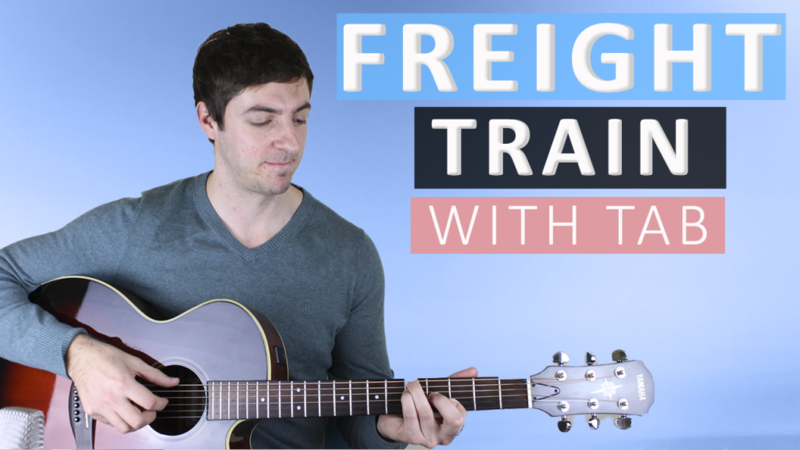 This version of Freight Train has been simplified considerably from the original but still sounds really great and is very enjoyable to play. The key thing to remember as you're learning this song is that you're always alternating between your thumb playing the bass note of the chords and your first finger playing the G string. The melody line is then played with your 2nd and 3rd fingers. This runs throughout the whole piece. However, you may want to separate out the two and then put them together once they've both been learnt individually. If you want to make sure that you're really on the right track with fingerpicking, I recommend trying one of my fingerstyle guitar courses. Find out more here. Thanks for the lesson. I started practicing recently. That’s great! Please keep it up.